Have you ever been to Big Bend National Park? My favorite place in Texas is Big Bend National Park. It was the first place I selected when we began producing small group tours back in 2002. 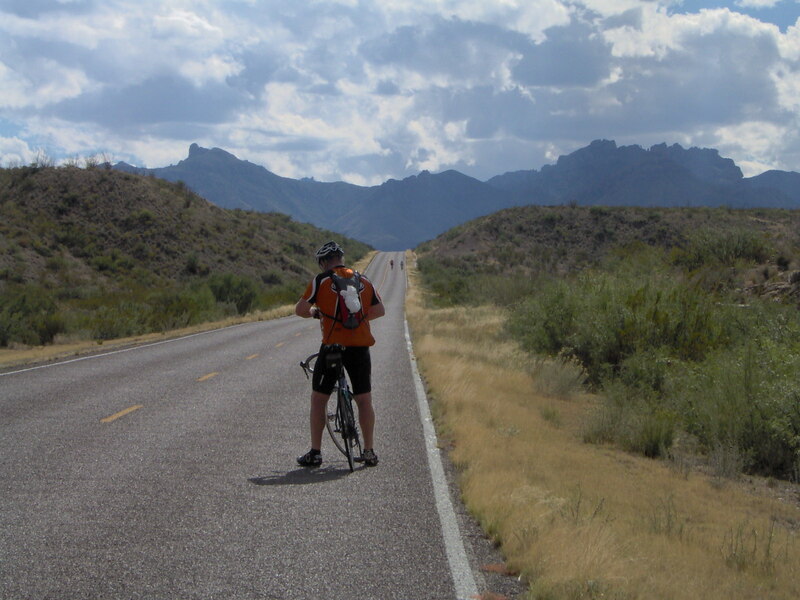 We combine 4 days of cycling with one free day to enjoy hiking in the Chisos Mountains. Back in 2008, Linda and Peter Chan went with us on our Big Bend Adventure. They made this slideshow of their trip. The hiking shots are within the Chisos Mountains in the park. The river shots were from a river trip they purchased from Far Flung Adventures in Terlingua. 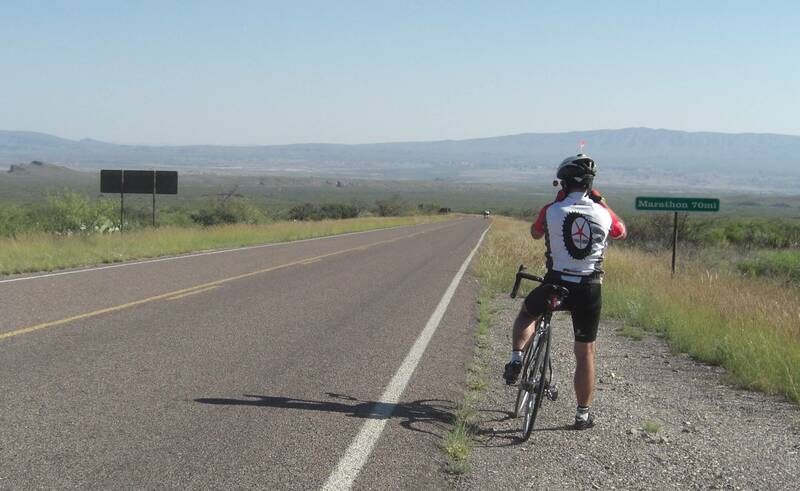 We travel to Marathon, TX before cycling into BBNP the following day. 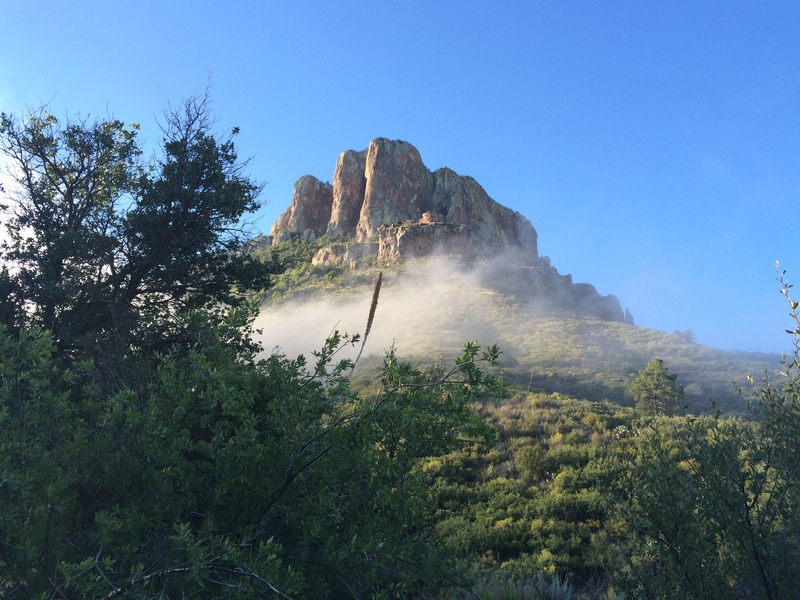 We’ll be staying at the Chisos Mountains Lodge in the park. After 2 days of cycling, you’ll get a day off to use as you please. 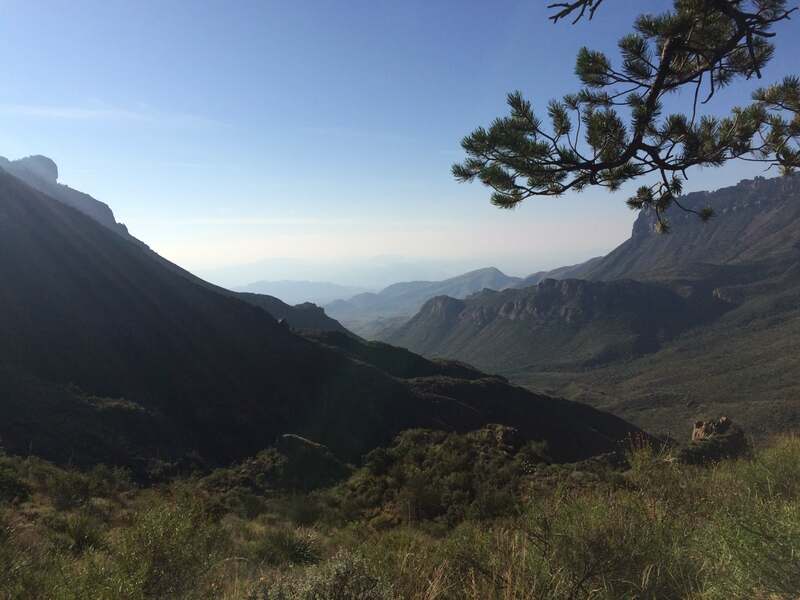 I like to hike up into the Chisos Mountains on the Lost Mine Trail for views like this one (below). We’ll have one more day of cycling within the park before heading back to Marathon. We’ll finish off the trip in Marathon with dinner at the 12 Gage Restaurant and a walk back to the Marathon Motel. It’s the perfect finish to a great week. 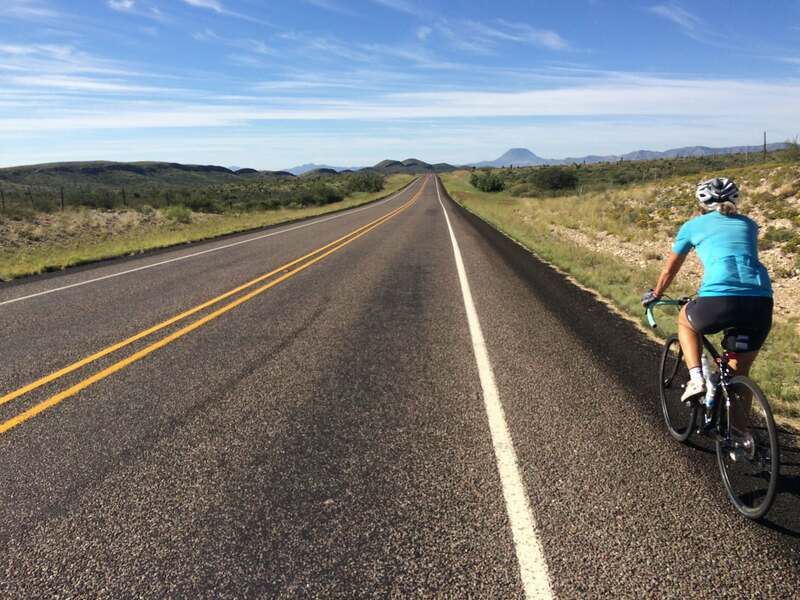 Bill Rutherford riding up to Panther Junction in Big Bend National Park. We’ve offer packages for this journey in 3 flavors: mostly camping OR all indoor lodging for single or double occupancy. As with all our trips, packages include all transportation to and from the venue plus all meals, ride support and lodging. If you decide to use the day off for a river rafting trip or some other adventure, those costs and arrangements are up to you. Our support team is on the road to help you adjust the route length to your desired distance and challenge. We have been known to shuttle people over big hills or past downhill segments. We want you to enjoy your vacation.